English beauty Eva St. John is flown to Texas to shadow rugged billionaire oilman Jack McClaine, for the magazine article she is writing. Still nurturing a broken heart and a secret past she left behind her long ago, Eva intends to remain professional at all times. But will she be able to resist the inevitable sexual advances of the predatory Texan Jack McClaine? And will she really want to? As a rule Jack McClaine never mixes business with pleasure, but for the beautiful and intriguing Eva St. John he will make an exception. Who is she really? And what is she running from? "Why, Miss Eva St. John, I feel about as welcome as a skunk at a lawn party." Jack McClaine spoke as mild amusement played around his silver-grey eyes. "Just what is going on, Mr. McClaine?" Eva folded her arms across her chest, her mouth compressed with indignation, as she waited for his answer. Her gaze was drawn inexorably to his, and like a laser it burned into her. Then as a smile spread from his eyes down to the deep dimples at the side of his mouth, she felt the breath escape from her lips in a silent gasp. Why did he have to be so damned attractive? She had to fight the sudden urge to push the stray hair back that had fallen forward across his forehead. "Mr. McClaine, are you going to answer my question?" "Hold on now, darlin', I thought we were on first-name terms already." He smiled at her in amusement. "No, we're not." She slumped into her chair and glared up at him. "Andrew Jameson could shadow you for a month. Why do you want me? I won't be a pushover, you know. I'll certainly write exactly what I think." He smiled easily and twisted around to meet her frosty gaze. "Now, why would I want Andrew Jameson to shadow me for a whole month? Live in my home. Share my food. Share my life. Why would I want him when I'd be much happier with you?" Eva picked up a pen and pointed it at him. "You, Mr. McClaine, have a reputation. If you are expecting anything but a working relationship, then you are mistaken." "Well, that's settled then, honey." She looked up watching the amusement play around his eyes. The creases channelled down to his mouth. "Don't look so smug, Mr. McClaine. You may regret your decision to invite New Dawn magazine into your home. You may not like what I write. Be careful what you wish for, Mr. McClaine." "Darlin', I've never regretted anything in my life." "I told you once before, Mr. McClaine, I'm not your honey, and I'm telling you now, I'm not your darling either." He laughed. "Eva, it's just a figure of speech. It don't mean anything." That afternoon a huge row developed with her boss, Simon Jessop, but he wouldn't back down. If she pulled this off, he'd give her a raise. Even more than that, he'd give her a promotion. She wanted to know why he thought Jack McClaine specifically asked for her to do the article. His thoughts exactly mirrored her own. He had lifted his hands in the air, an expression of helplessness on his face, and said, "You're a big girl, Eva. I'm sure you can handle yourself, and Jack McClaine." Eva felt like a dish served up specifically for Jack McClaine's pleasure. What's more, her boss had handed her over on a solid silver platter. 5 STARS "TOP PICK AWARD": "Jan Bowles has a talent that I haven't seen in many books lately. Ms. Bowles brought these characters to life so easily I could hear Eva's English accent. I loved that these two share so many things in common yet deny the attraction is there. Though their pasts are heartbreaking they do love each other. The story line definitely kept its pace, which I liked in this type of story. Jack and Eva are definitely two peas in a pod yet like oil and water they sure do have their ups and down. Loved it." 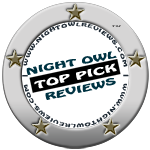 -- Mary, NightOwlReviews. 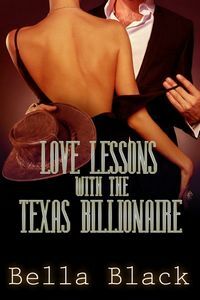 5 STARS: "Love Lessons With the Texas Billionaire exudes a seductive tone throughout the story. Jack is hard to resist with his simple dialog that says so much about him and the complexities of his vulnerabilities that have him questioning when it comes to Eva. Definitely a keeper, I thoroughly enjoyed Jan Bowles's book and plan to read more of her stories at every opportunity." -- Emily, Singletitles. 5 STARS "FEATURED REVIEW": "Author, Jan Bowles has officially won me over as a fan. I didn't think she could top her first novel The Return but with her latest one she has done just that. Jack had the Texas charm that you couldn't help but fall for, even when he was smirking. Eva is a spitfire. She really tested Jack's patience. No matter how much she pushed his buttons, he was gentle with her; exactly why I liked him. This story is a feel good book." -- Cheryl, Manic Readers.